"Helen Fisher begins with a discussion of romantic love, lust and attachment, three brain circuits that have evolved to promote specific human mating and bonding behaviors. She delineates how these brain circuits interact in biochemical patterns that both deter and promote attachment and partner differentiation. Following this, David Schnarch presents his innovative, non-pathological approach to resurrecting sexuality and enhancing growth in ongoing relationships. He emphasizes the development of differentiation.Daniel Siegel focuses on an interpersonal neurobiological understanding of human connections. Siegel clarifies how the developing mind, in interaction with caregivers, acquires particular patterns of attachment that become working models of future intimate relationships. Susan Johnson then presents the core interventions fo Emotionally Focused Therapy, an empirically-validated approach to couples-therapy, which focuses on fostering a secure attachment and creating new bonding interactions through reprocessing emotional experience. Emotion is seen as the primary player in the drama of marital distress and in changing injured attachment bonds. Dependency needs are depathologized." Define the process of attachment and differentiation in intimate relationships. 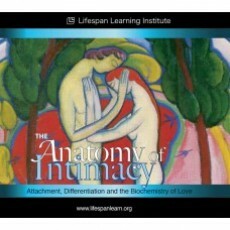 Identify the guiding principles of interdependence as a key to intimacy. Explain when to appropriately use empathy-based interventions and when more anxiety producing differentiation-based interventions are necessary..
Assess distance regulation problems affecting partners who can't get close yet can't let go.